Jordan Brand is set to release another edition of the Jordan Team ISO Low, which is arguably the most popular team model from the famous shoeline. 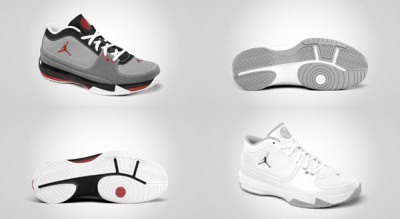 The Jordan Team ISO Low will make its return in two different colourways, the White/Metallic Silver and the Stealth/Varsity Red-Light Graphite-Black, and both colourways are expected to hit strides starting this month. If you are looking for a cleaner look, then the White/Metallic Silver will suit your needs, and if you are with a much attractive edition, then the Stealth/Varsity Red edition is the one for you. But regardless of the colourways, both will give you the same comfort and excellent protection like the earlier editions of this shoe. So start saving your money now and buy immediately after its release!